90% of the shares in Vikan are owned by the Vissing Foundation (Vissing Fonden), a non-profit charitable foundation set up in 1979 by the far-sighted family that then owned Vikan. This unusual ownership structure is a key part of the whole Vikan perspective – beyond short-term thinking and simple here-and-now profits, in favour of always doing right by our customers, and making long-term efforts to make lasting improvements. The Vissing Foundation activities include providing funding for near-patient research in disease prevention, diagnostics and treatment related to cancer and diabetes, focusing on work that features strong potential for immediate, practical impact on patient treatment in these fields. 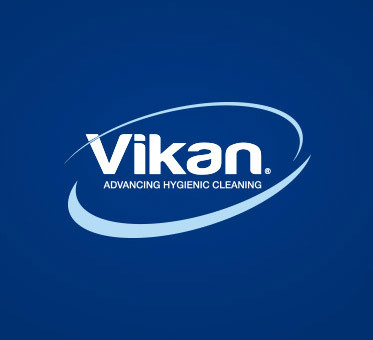 The foundation’s work is a constant source of pride and inspiration for all of us at Vikan – part of the proverbial “making a difference” ambitions we have as part of working at this company. In 2018, the Foundation again received many applications for research funding. Among those approved were projects from the Clinical Immunological Department at Aalborg University Hospital and from the Department of Public Health at the University of Copenhagen. Exosomes are one of the several types of cell-derived vesicles now recognized as good potential markers of several human diseases, including cancer. However, their use in practical diagnostic tests requires a reliable way to effectively identify their presence, and to do so quickly and at scale. The funding from the Vissing Foundation to the Clinical Immunological Department at Aalborg University Hospital was for the expansion and further development of the Extracellular Vesicle (EV) Array technology, which has already proven to have considerable diagnostic potential for treating lung cancer. An EV Array consists of a microchip capable of detecting and identifying extracellular vesicles in biological fluids, and of determining their concentration. The department wants to invest in a specialised micro-array printer that can print these chips in multiples. This will enable researchers to intensify their efforts with the same resources, and to bring this important diagnostic tool to a level where it can easily be used in ordinary medical contexts and laboratories. The aim is to help identify the presence of cancer cells as early as possible, and thus improve the positive effect of key treatments. The funding from the Vissing Foundation to the Department of Public Health at the University of Copenhagen was for a project configured to improve how socially vulnerable patients with type 2 diabetes can access and interact with the public healthcare system, and benefit from the resources and treatments available there. The study will help general practitioners and nurses at medical practices deal more effectively with patients who suffer from type 2 diabetes. It also involves identifying the most suitable and effective ways for the many specialists and organisations in primary as well as secondary healthcare to collaborate, in order to help redress some of the documented social inequalities that often seem to arise when this particular group of patients encounters the public healthcare system. The project involves collaboration with a wide spectrum of research bodies, hospitals, medical practitioners and patients, as the first step towards effective intervention to improve quality of life for socially vulnerable patients with type 2 diabetes. Find out more about the Vissing Foundation and other research projects previously funded by the foundation here (only in English and Danish).